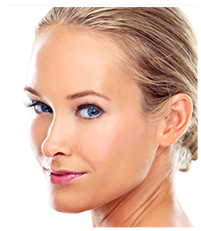 Choosing the right facelift plastic surgeon will be the most important decision you make regarding your procedure. When performed by a highly skilled and experienced Board-certified plastic surgeon, a facelift can have a dramatic impact on your appearance, delivering beautiful, natural looking results that help you look younger and more refreshed. There are certain criteria which you should evaluate when determining if a potential plastic surgeon is the right fit to perform your procedure. Taking the time to thoroughly research your surgeon’s credentials and asking the right questions during your consultation will help you feel confident that you have made the right choice. To evaluate Dr. Joseph Fata's qualifications to perform your facelift, please call 317-575-9152 to arrange a consultation with our Indianapolis plastic surgeon. It is important to work with a plastic surgeon who has the extensive training and experience necessary to deliver the beautiful results you desire. You should limit your search to board certified plastic surgeons. This ensures that your surgeon has completed specialized training in an accredited plastic surgery residency. In addition, surgeons must pass rigorous examinations, both oral and written, demonstrating their expertise in the field of plastic surgery in order to receive board certification. When working with a board certified plastic surgeon, you can be confident that your procedure will be performed using the most advanced techniques and according to the highest safety standards. You will want to work with a plastic surgeon who is committed to providing the high levels of personalized care you deserve. Does your surgeon spend as much time as needed to educate you about your desired procedure and answer all your questions during the initial consultation? Will he be personally involved in every phase of the procedure all the way through your follow-up care? A plastic surgeon who is committed to providing this level of care will generally gain a better understanding of your goals and as a result, be more likely to deliver the beautiful outcome you desire. Always ask your surgeon for the contact information for at least one of his patients who can serve as a reference. Former patients can give you a better understanding of the level of care you can expect to receive. You should also view some Before and After photos from previous facelift patients to get a better idea of the results your plastic surgeon typically achieves. With 20 years of experience, Indianapolis plastic surgeon Dr. Joseph Fata has the skills and background to deliver the beautiful facelift results you desire. He is Board-certified by the American Board of Plastic Surgery and has been featured as one of “Indianapolis’ Top Docs” in the Indianapolis Monthly magazine repeatedly. 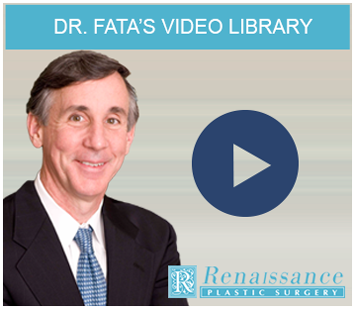 Dr. Fata will personally handle every aspect of your procedure from the initial consultation through your recovery to ensure everything goes as smoothly as possible. He will customize your facelift to address your unique physical characteristics and aesthetic goals, ensuring a beautiful, natural looking result that enhances all of your facial features. Please contact Renaissance Plastic Surgery or call us today at 317-575-9152 to schedule your initial facelift consultation. Dr. Joseph Fata serves patients in Indianapolis, Indiana.